Twenty-seven-year-old Vincent Durham died this date, January 29th, in 1841 and was buried at Bethel Burying Ground. Twenty-seven-year-old Vincent Durham died this day January 29th, in 1841 of an “Inflammation of the Stomach” and was buried at Bethel Burying Ground. The Durhams were a large African American family in 19th century Philadelphia. Out of surviving records, there are a total of fifteen Durhams buried at Bethel Burying Ground. Several members of the clan (including Vincent) lived on Marriott Street (now Montrose) in south Philadelphia. Marriott (now Montrose) Street as it looks currently. Vincent Durham worked as a laborer but wanted to improve his situation by becoming a merchant marine sailor. His first step in doing this was getting his Seaman Certificate that proved he was a citizen of the United States. This certificate was an early form of a passport that also stated that Mr. Durham was a free Black man and not enslaved. Tragically, Mr. Durham did not see his dreams fulfilled. He received his Certificate in July of 1839 and passed away a year and a half later. He is buried with a large number of his family members. 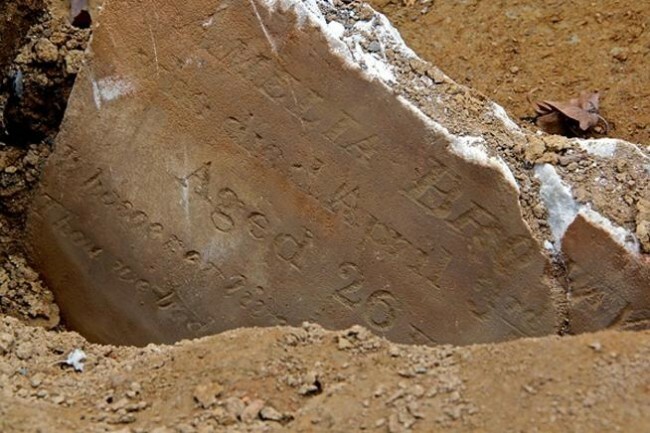 ← Seventy-five-year-old Hester Jeffries died this date, January 26th, in 1847 and was buried at Bethel Burying Ground.